The Candy Lei is a participant in the Amazon Services LLC Associates Program, an affiliate advertising program designed to provide a means for sites to earn advertising fees by advertising and linking to amazon.com. 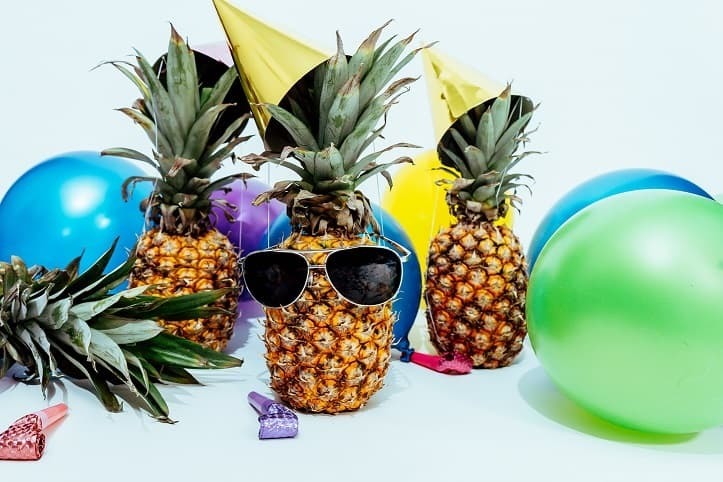 While looking for a fun pineapple project for the weekend I stumbled upon some pineapple sugar scrub recipes that looked like a blast to make. Here’s how to make the scrub. Step 1: Puree pineapple in blender for 30-60 seconds. Step 2: Blend in coconut oil. You may want to melt the coconut oil slightly to help it mix in easier. Step 3: Pour pineapple-coconut mixture into a bowl and stir in cane sugar. If you’d like your scrub to be thicker you can add more cane sugar. Step 4: Add your scrub to a resealable jar and store in the refrigerator so it lasts longer. 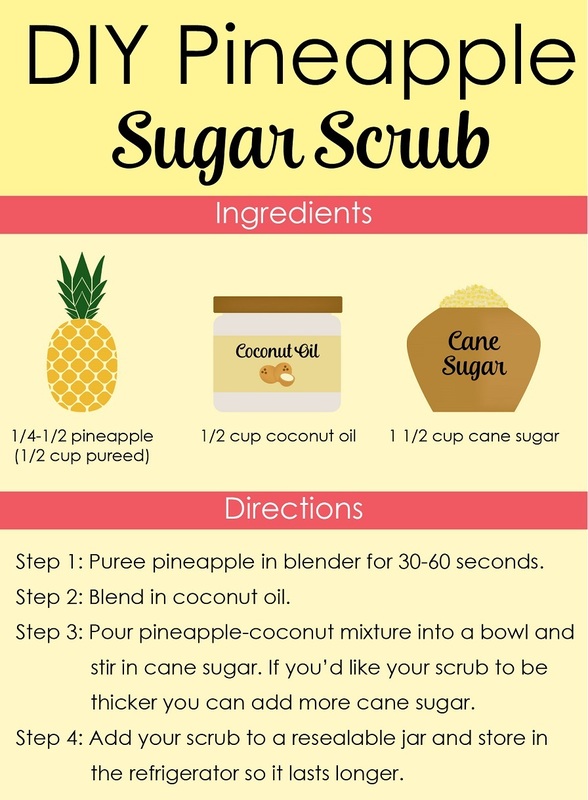 There you have it, a nice simple pineapple scrub to keep your skin looking great all summer long. If you’d like to save the recipe just pin the image below.